The Folkerts Henderson Highwing is an early, one-of-a-kind homebuilt aircraft. 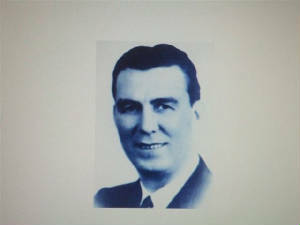 Clayton Folkerts worked at Monocoupe and was experienced in aircraft design and construction. The Highwing is made almost entirely of wood. The metal parts are the axle, tailskid, cabane struts, control surface hinges, wire trailing edges, and hardware. The engine weight of 100 pounds is almost half the total weight of the plane. The aircraft carries a registration number of 8902, but this registration predates the “N” number system. The Highwing was grounded by aviation law changes in 1931 and ceased flying operations. It was restored for display by EAA Chapter 94, Rudd, IA in 1965. 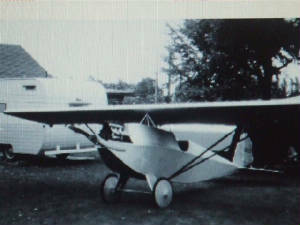 Don Luscombe wanted a more comfortable plane than his open cockpit “Jenny”. His Monocoupe was engineered and built by Clayton Folkerts. 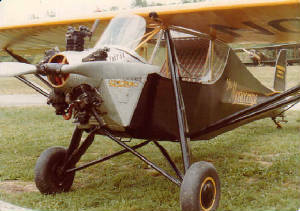 Together, Don and Clayton launched a type of aircraft that dominated the light plane scene for several years. Production of the Monocoupe was sporadic until 1928 when the company became associated with W. L. Velie, a former car manufacturer. Velie brought the Monocoupe a reliable source of small engines. The 113 was manufactured by Mono Aircraft Corporation, which was a subsidiary of Allied Aviation Industries. The Monocoupe was powered by a 65 hp Velie radial engine. The fuselage framework was built of welded steel tubing, which was faired to shape with formers and fairing strips, and then was covered with fabric. The cabin roof had a large skylight for vision overhead. The wings were built of solid spruce spars and spruce and basswood ribs which were also fabric covered. The Monocoupe 113 was reasonably stable and quite easy to fly. 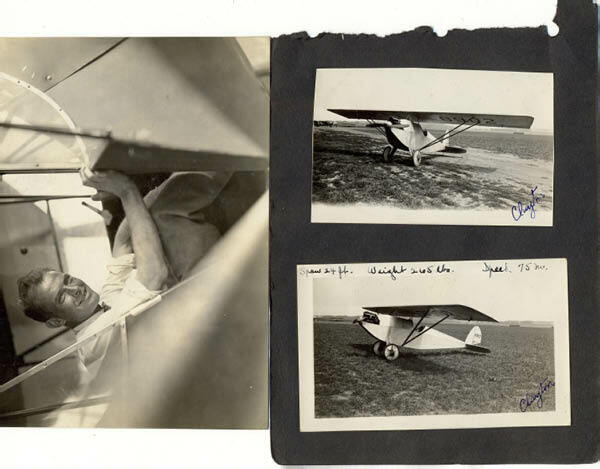 By 1929, approximately ten percent of all licensed US aircraft were Monocoupes. The Monocoupe accumulated a good safety record and promoted longevity. Through the late 1930s it was not uncommon to see scores of Monocoupes flying all over the countryside. The exceptional performance and sharp maneuverability of the 113 drew the Monocoupe to air races and other events where its pilot could show it off. During the 1929 air race season, many Monocoupes were the headliners. The 113 was also used in the primary phases of flight instruction by flying schools. EAA’s Monocoupe was the first of the famous Monocoupe line, which was among the earliest cabin monoplanes. The airplane was meticulously restored and flown to the EAA Museum under its own power. At that time, it was one of the last flyable 113s in existence. The Monocoupe 113 is an example of the type of airplane that dominated the light plane scene for several years. 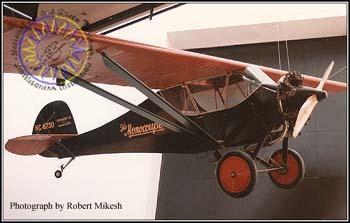 In 1968, John Hatz loaned the Monocoupe to the EAA museum. In 1977 this airplane was put on permanent display there.